Unlike the red rose, which is symbolic of love, the pink rose is a symbol of style and poetic romance. It's an endearing wedding flower selection, as it embraces gratitude, happiness, and passion. While some may argue that there's too much importance placed on the color of wedding flowers carried by the bride, others will beg to differ. After all, roses and bouquets have traditionally conveyed messages throughout our history. Flowers have always been seen as a symbol of love and beauty. When carried by the bride, wedding flowers represent a celebration of love, fertility, and unity (as these flowers are grouped together in a bouquet). 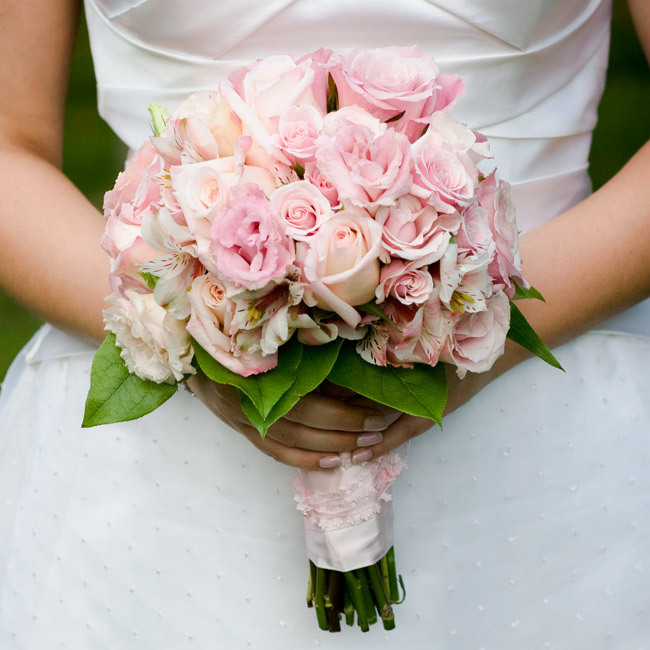 A simple pink assortment of roses is an excellent choice for the bridal bouquet. It carries a direct message of peace and happiness. Pink is a soft and subtle color that will enhance any white gown. It's feminine and tranquil. All too often a bride picks a bold floral arrangement for her wedding bouquet which takes everyone's attention off of her beautiful gown. That's just too unfortunate. In recent years, dyed roses are embraced by many young brides. Unfortunately these vibrant colors are very unnatural. They send a message of "artificial love." 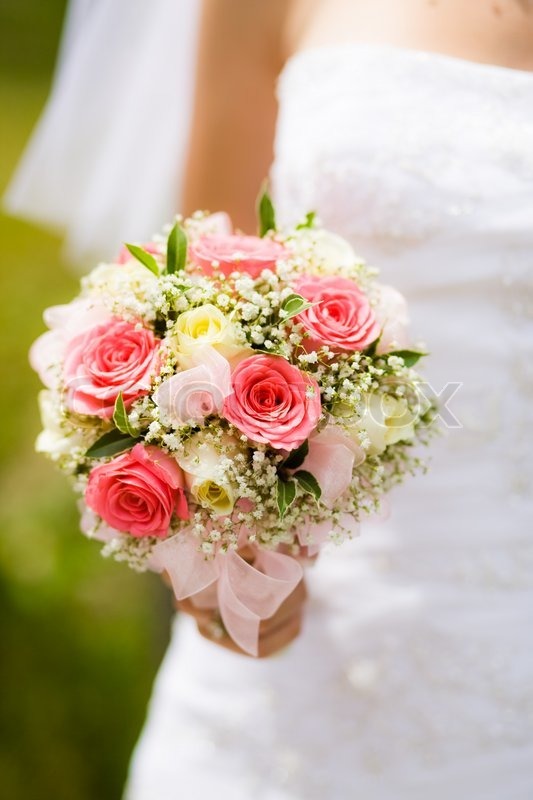 On the other hand, a pink rose wedding bouquet has no faux statements attached to it. It's simple and elegant. It's natural, as are the feelings attached to it. There's a wide assortment of shades to choose from when you select pink roses as for your wedding bouquet. There are soft pinks, hot pinks, mauve pinks, and dark pinks. While this may seem overwhelming, a florist will be more than happy to help you select the one that suits your wedding attire and decorations. Don't be shy, ask any question you may have. Florists are professionals. They've heard just about every scenario before! Pink is friendly, compassionate, and faithful. In addition to being a wonderful flower to select for your wedding bouquet, it's the official color of Valentines Day. As pink is such a soft color, it would look lovely in both a Spring wedding summer bouquet, as well as a summer wedding bouquet. A pink rose is the universal symbol of beauty.